Nawaz Shareef Announced Free Laptops Scheme for Students-How You Could Get free Laptops? Nawaz sharif announced youth packages of 20 Billions. According to which ONE lac laptops will be distributed in students. FOUR lac graduates would be trained for jobs. However students having qualification of M.A will also be trained. For one year training a bond of 10 thousand rupees monthly would be given to students and for 6 months training a bond of 5 thousand rupees would be paid. however a loan ranges from 5 lac to 20 lac will also be given to youth on easy installments. 50% of these loan will be given to female. Scholarships will also be awarded to poor and good students of backward areas . 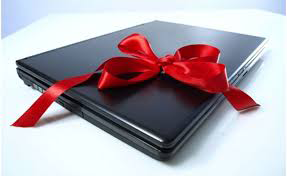 How You Can Get Free Laptops ??? Government has also make a website for all this info and applicants can also apply online for any package. Www.pmo.gov.pk all these schemes are for all four provinces including Azad Kashmir and Gilgit Baldistan. It has been also saying that Prime Minister Nawaz Sharif has announced these packages to attract youth towards PML-N. In election 2013 youth support imran Khan and PTI for revolution. Due to that attraction of youth, Nawaz Sharif announced these packages to minimize the popularity of Imran Khan. Anyways , we appreciate this step of government. It is a good step taken to remove unemployment from Pakistan. We hope that these packages are corruption free and on merit based. Blogiapa - Learn To Do More! : Nawaz Shareef Announced Free Laptops Scheme for Students-How You Could Get free Laptops?